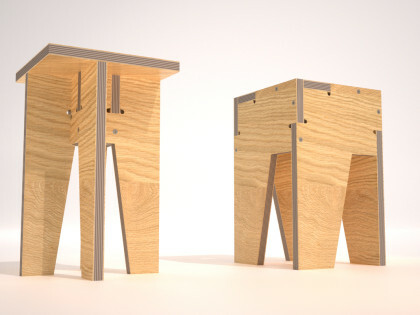 eaching out in four directions, the Cat in Bag Table series has a curious capacity for shaping space and drawing together the things around it. 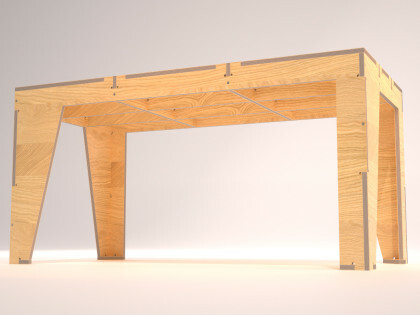 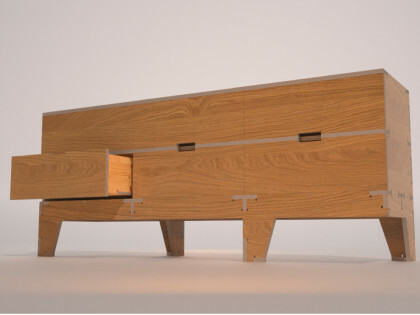 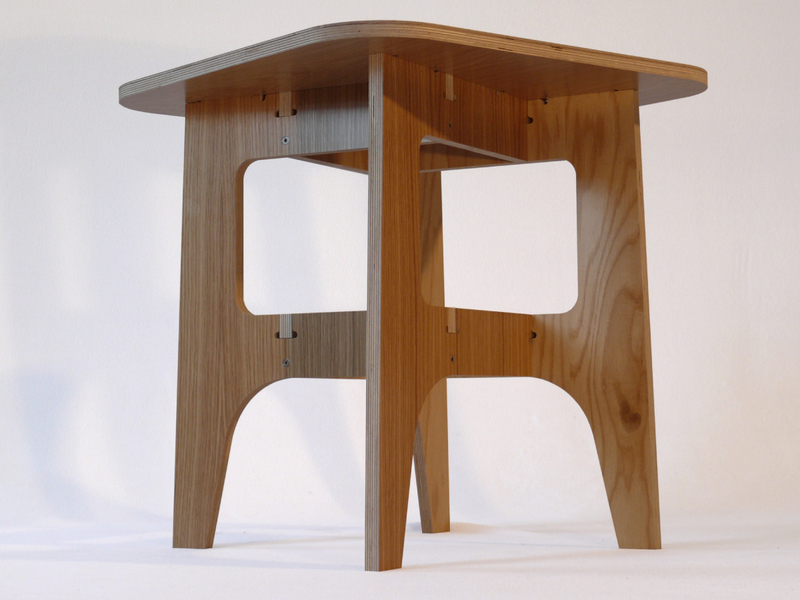 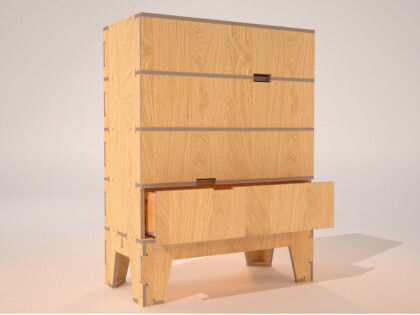 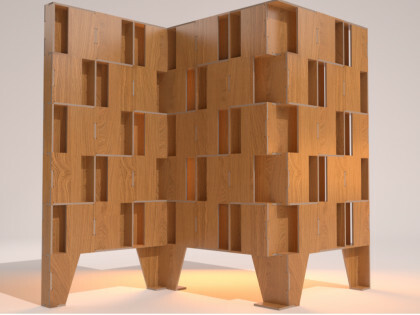 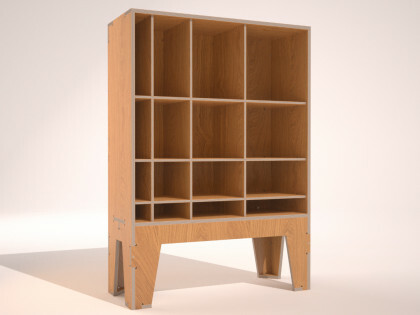 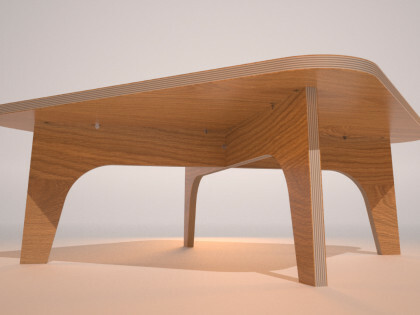 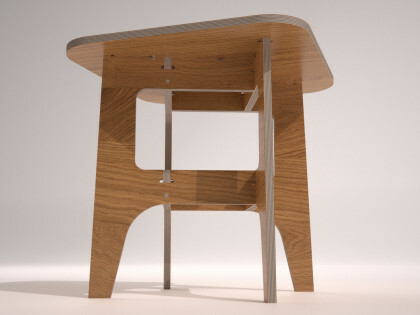 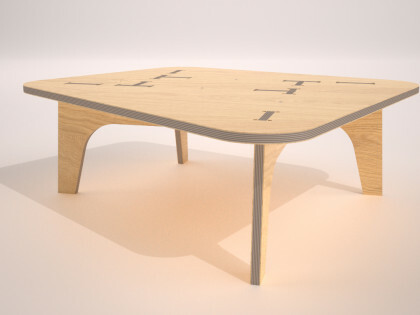 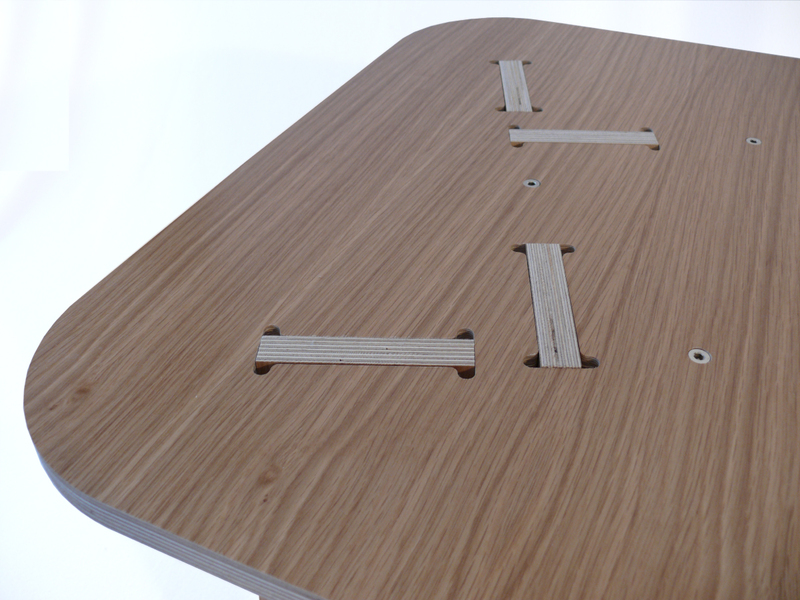 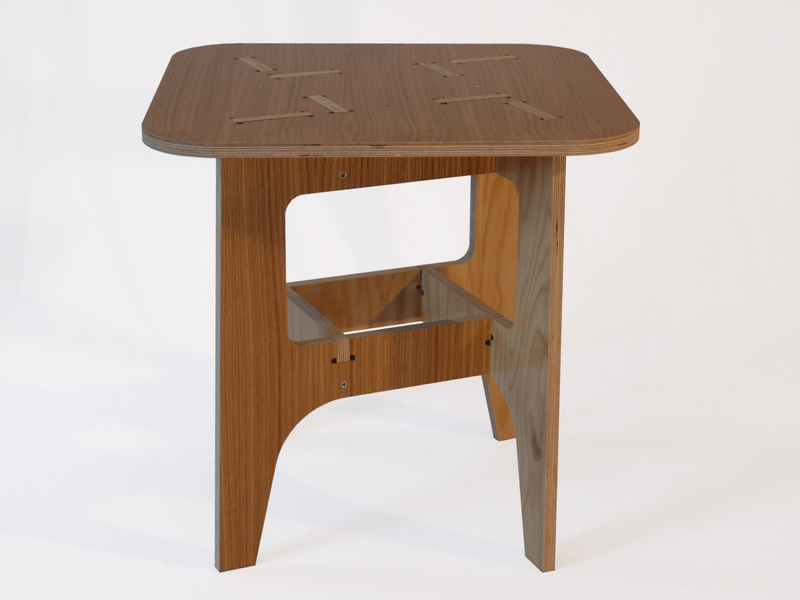 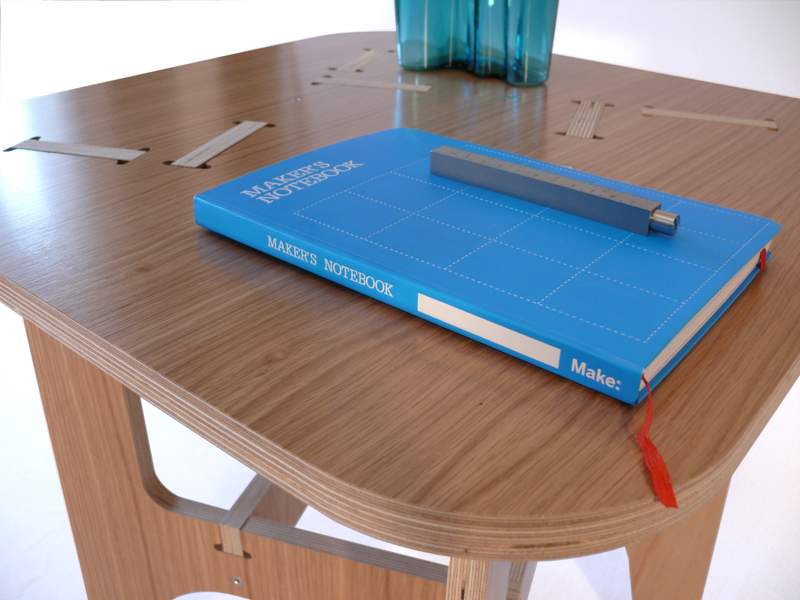 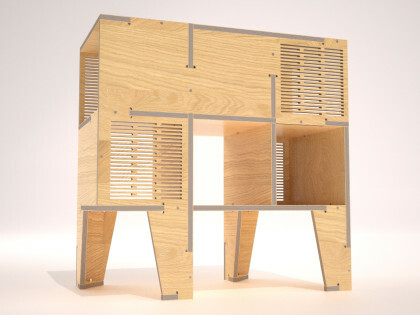 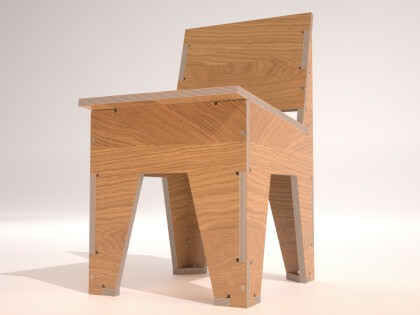 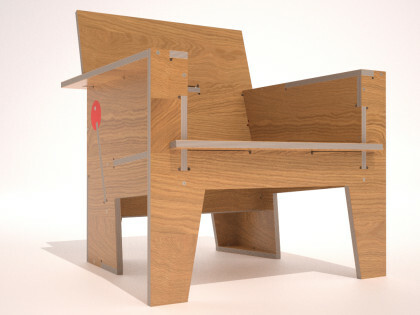 A taller version of its cousin, the Cat in Bag ii, it shares a simple structural assembly and composition of flush, digitally crafted inlay on its tabletop surface. 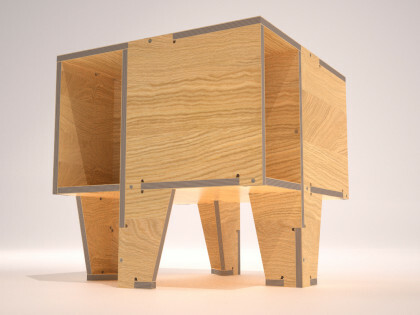 This squared version of the Cat in Bag iii is 24″ tall, making it well suited as a side table. 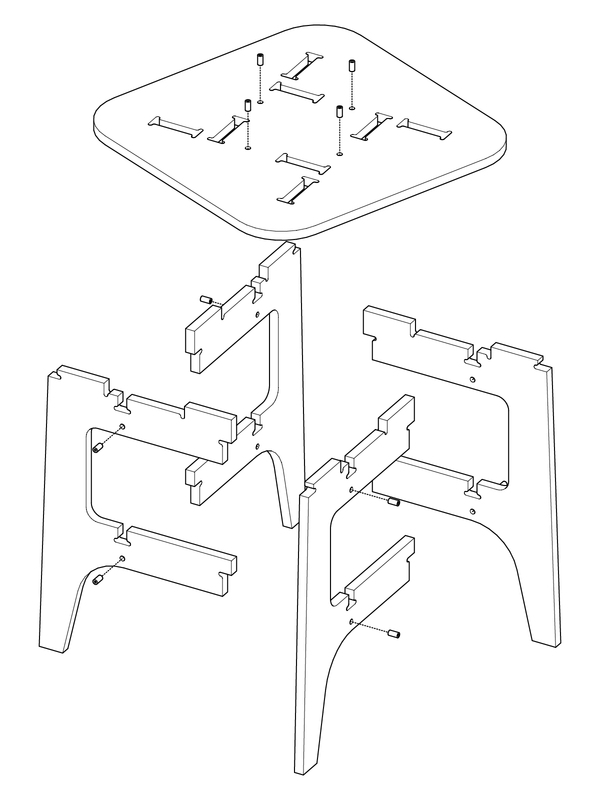 he Cat in Bag iii download file includes toolpaths for a 24” high table that fits within a 24” square (618x618x618). 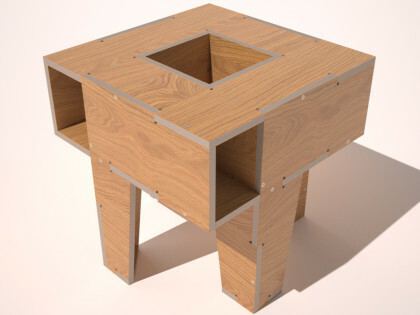 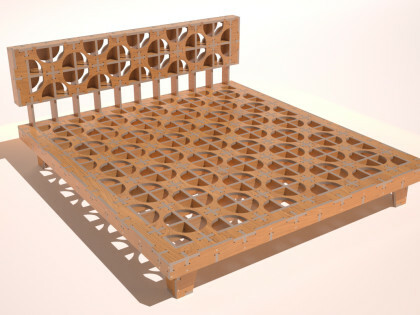 Mill a single table from ½ sheet of 4′x8′x¾” material, and use the extra ½ sheet for a matching Cat in Bag ii coffee table or gaggle of Rotational Stools. 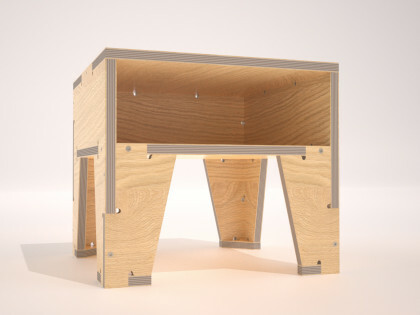 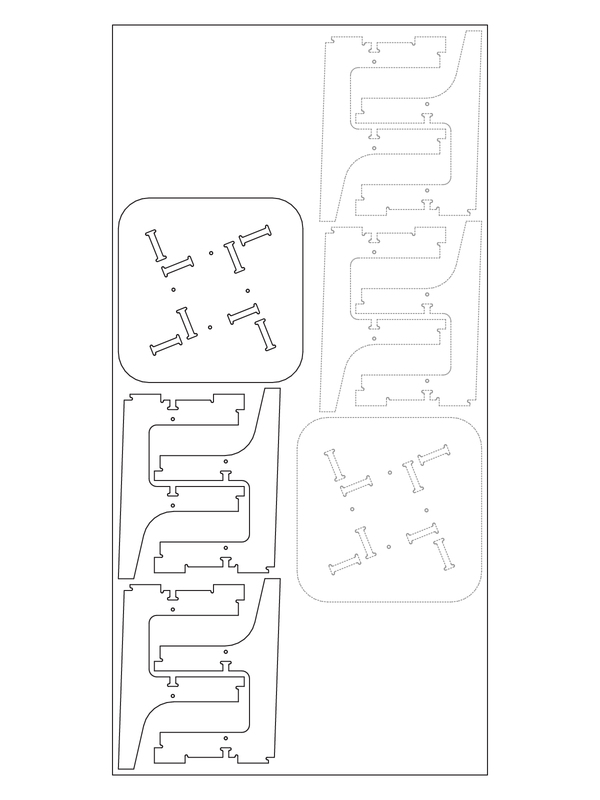 With a mere five table parts that easily fit together with or without fasteners, the Cat in Bag iii is a great starter project.